Nadia Habib M Arch ’17 was selected for this year’s class of the AIANY Civic Leadership Program. 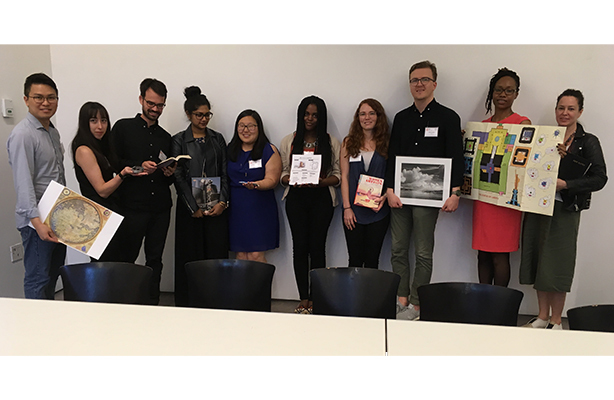 The program was created two years ago to encourage young design professionals committed to community engagement and advocacy in New York City. Habib’s interest in the program stems from her experience as an undergraduate DACA recipient studying psychology at Stony Brook University. During her time as a graduate student at Spitzer she continued to work with organizations that help undocumented immigrants and also worked as a publicist for the Price of Silence, a theater group in the Bronx that focuses on women’s rights. Nadia currently works as an associate architect at EME Consulting Engineers Group, a firm focused on sustainability and civic projects. 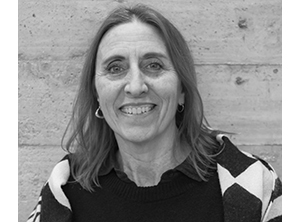 She consistently pursues opportunities to further develop her skills advocating for underrepresented groups. 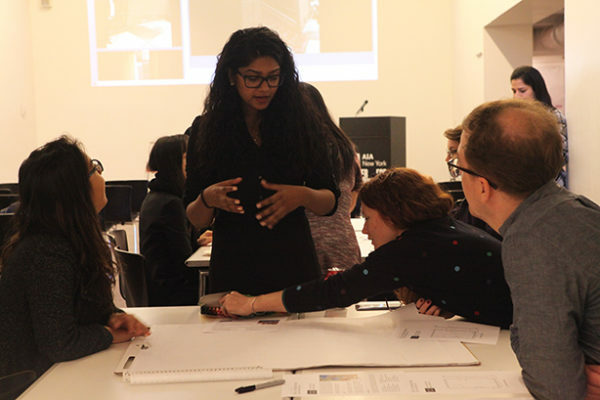 Throughout the six month-long AIANY program, ten Civic Leaders are paired up to create development sessions on topics like non-profits, affordable housing, and community design. The group of leaders come from diverse backgrounds and foster discourse on community issues that they are interested in. 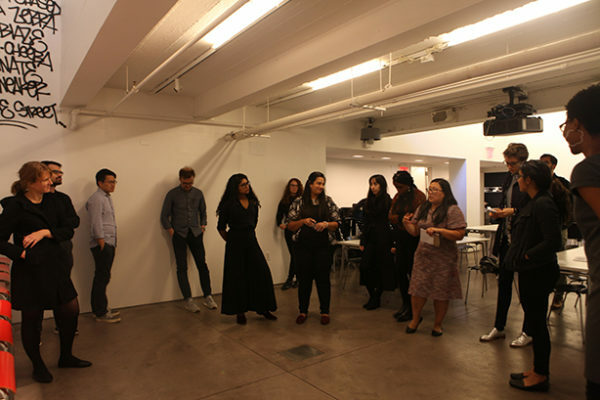 Habib’s development session, “BASE-ics of Affordable Housing – Community Organizing and Design,” took place in October and can be read about here. In addition to these sessions, CLP members host events that engage the public. 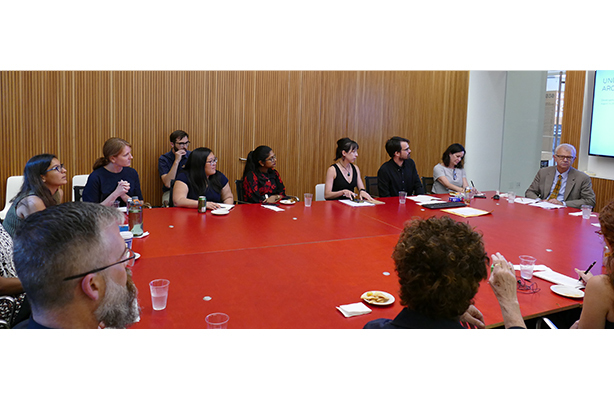 Habib, alongside four other leaders, recently hosted a public event, “Civic Impact in Practice,” at the Center For Architecture, which stirred a lot of discussion and commentary. The Spitzer School is proud and honored to have alumni like Habib investing their time to programs that align with our mission of community involvement, likewise her predecessor in the Civic Leadership Program Christina Hernandez M Arch ’15. 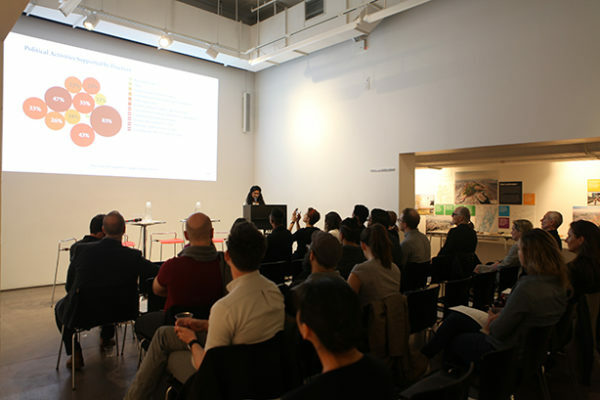 Spitzer’s unique position as an accredited architecture school within the country’s first municipal public institution has generated a faculty and student body that are particularly committed to advocating and addressing issues relevant to the urban fabric. It is our goal to continue encouraging students like Habib to dive deep into design issues that effect this city’s communities. Photos courtesy of the Center for Architecture.